I've heard that triangles can be used as a tool in composition. Why would I pay attention to triangles, or structure an image around this shape? What particular significance do triangles have, culturally and visually? How would this contrast to a formal composition using a different basic geometric element, like a circle or square? This is an extremely subjective area - there is much that can be learned but there are so many overlapping opinions and shades of interpretation that skimming through a very wide range of material and then reading in depth those that seem to be of value to you is liable to be more useful than a few explanations here, no matter how good. The internet has a vast number of commentaries and guides available on this subject and I consider that the best approach is probably steeping oneself in the range of available material and seeing what you learn that seems useful in the process. I am personally cautious to skeptical of most composition rules, and especially so of 'the triangle rule', which turns out to be several 'rules', or none. One variant has the golden triangle as half a golden rectangle and gors from there. Others see clusters of triangles - or say you should be able to. Some can probably explain any "good" photo by adding triangles tha may or may not have any effect on the viewers perception. There are definitely aspects such as leading the eye, clustering objects or subject material in a defined shape etc which will be useful on occasion. How much so is best determine (I think) by lots of skimming through material on the subject and then trying it yourself. This horoscope oriented site gives a range of examples of diamond and triangular structures in cultrual images and themes from various times and thnicities. Symbols and their meanings - useful. Note that the writer of this page has a strong Christian perspective which flavours some of his comments but still conveys well the underlying meaning and uses. Masonic all seeing eye - see US $1 bill. Hexagram - two intersected triangles - Star of David. Centre of some of some only Hindu Mandalas. Dphoto are often enough an OK source of information. But I think this photographer in Photography composition tip: Enforce order through triangles - sees too many triangles in too many locations. Some of these photos would be impossible to compose in real life situations (eg ballet dancers) and others (eg elephant * man or '3 net holders + tree') could have triangles drawn in other equally valid places. 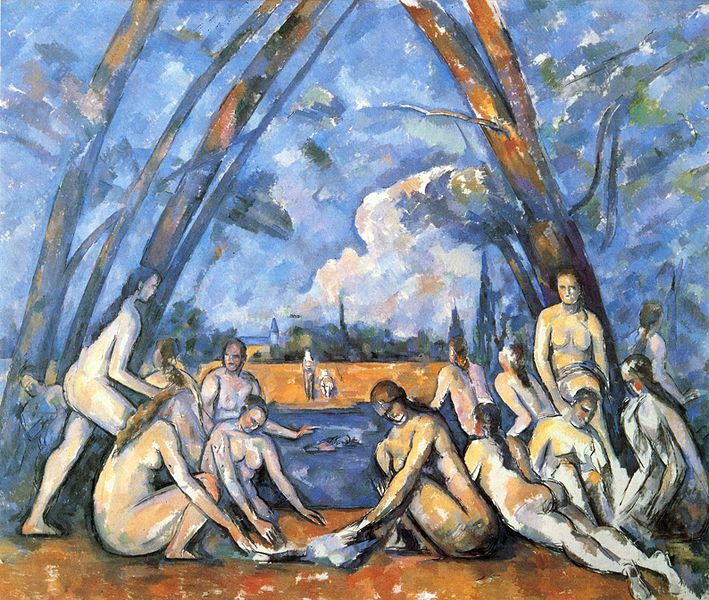 [Paul Cézanne](Paul Cézanne successfully used triangles in his compositions of still lifes.) successfully used triangles in his compositions of still lifes. They may be right :-). I find resources like this of immense value - a picture being worth a thousand word, you get about 250,000 words to skim though in seconds. I think that targeted image search is one of the great unsung tools available. How to break mental models when taking pictures?